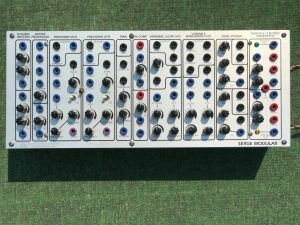 “STS/Oakland era custom panel with extremely useful oscillator sync mod on both PCO’s. The sync is much stronger than stock, making it very easy to lock in harmonic or subharmonic relationships, basically anything musically useful. This is an absolute requirement for live patching.